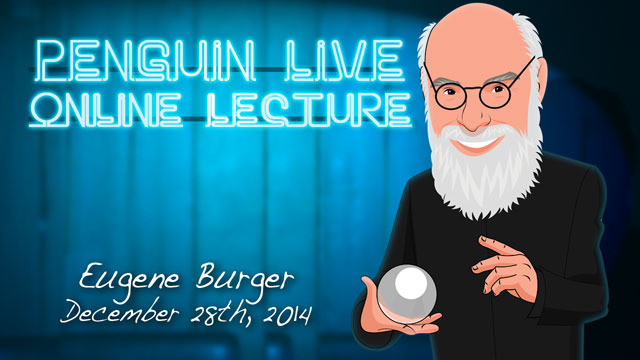 Today, when you order "Eugene Burger LIVE", you'll instantly be emailed a Penguin Magic gift certificate. You can spend it on anything you like at Penguin, just like cash. Just complete your order as normal, and within seconds you'll get an email with your gift certificate. 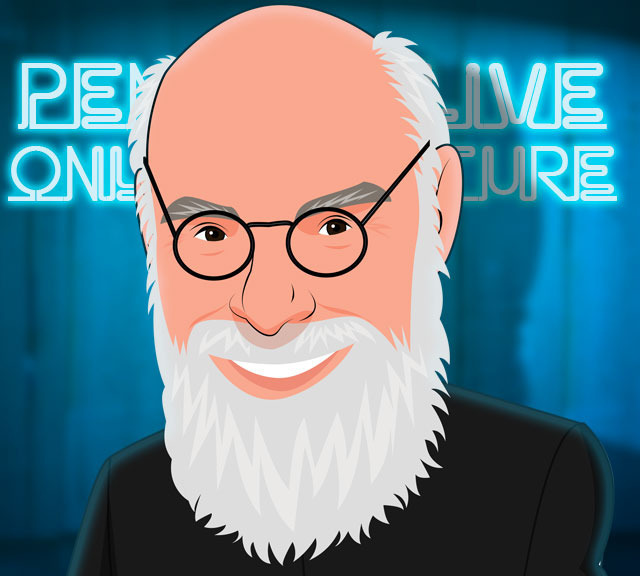 Eugene Burger LIVE (Penguin LIVE) Learn tested and respected stage magic technique from a master of mystery and entertainment! SUPPORT LIVE MAGIC. DOWNLOAD THE FULL LECTURE TODAY. FADING COIN The best coin trick that Eugene has learned in the past 15 years! Completely impromptu and it can be done anywhere in the world with any coins. LIMITED EDITION Eugene’s presentation and handling for this modern classic where you break the rules and tell your audience exactly what you are going to do and then you do it. GEMINI MONEY One of Eugene’s favorite pieces of magic for the times he worked behind a bar. Tensions rise leading to a happy conclusion for all. OUT OF THIS WORLD Eugene’s direct handling and presentation for this classic effect where an audience member separates the red and black cards. Eugene begins with a borrowed and shuffled deck and uses clever strategies to create a mind boggling effect. THE PACK THAT CUTS ITSELF Eugene uses this as his opening effect for corporate cocktail party work. You will learn the inner secrets of this amazing piece of card magic where the cards move by themselves and are immediately taken for examination by the audience member. THE TURNING CARDS Under cover of a scarf, selected cards come out of the deck, turn over and reinsert themselves into the pack. Sometimes Eugene presents this as a piece of spirit magic. SPIRIT MESSAGES Eugene presents three different close-up presentations and methods for the effect of spirit writing. All are regularly performed by Eugene and you will learn all the subtle touches to make this into a featured and talked about effect. What a teacher. What a voice. What a magician. What a presence. What a fine story teller. I really enjoyed this lecture. He is real and vulnerable and generous. - how to pose questions at the beginning of a trick to give what you are about to do value. And of course he teaches amazing tricks!!! Should you get this lecture? HE WANTS to make you a better magician. HE WANTS you to be a better magician. He said, "It is your job to make the magic memorable." There is so much to learn from him. His subtle humor, insight into human nature and application to magic is inspiring. He is brilliant and worth 100 times the price of this download. Eugene Burger is a phenomenal magician. Not only are his tricks just fabulous, but he also explains and shares them with a never-seen clarity and generosity. In between the tricks, Eugene Burger also delivers tons of great advice and thoughts about magic. I could not keep the pace taking notes and will certainly have to view and pause the video again and again, in order not to miss a single piece of all advice delivered between the tricks. Most of the material shown during this lecture is already available in Eugene's books or DVDs (if you are a fan and collect them as I do), but this is not an issue at all, since Eugene gives here alternative presentation and provides additional advice. So this can be seen as a very useful addition to the existing sources. This lecture really deservers 6 stars. 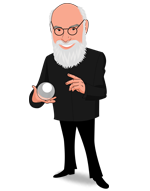 Long live Eugene Burger : definitely one of the very best and most generous magician - philosopher of these days ! There's only 2 or 3 out of the 5 effects on this I would perform. However, like I said this is one of the best I've ever purchased. Eugene's performance, tips, and thoughts on magic are incredible. You will learn so much from this, it is definitely worth the price even if you don't perform any of the effects he teaches. The methods to the tricks are very clever, well thought out, and taught well. Gemini Money and his handling on Out of This World went straight into my repertoire as soon as I learned them. The Pack That Cuts Itself is knacky, but can be mastered and will blown away a spectator. Fading Coin and Limited Edition are great tricks as well and are easily learned. I highly recommend this to any magician. I love hearing Eugene Burger, and not just for the straightforward methods in his routines, but for the philosophy involved. Eugene's routines have context and reasons for why things are happening. Magicians tend to over complicate routines by adding unnecessary steps to avoid detection when it's not needed. Burger teaches you to think from the layman perspective and not get caught up on doing the hardest sleight when the simplest accomplishes the same objective. I'd love to see more Eugene Burger from penguin in the future! Maybe a bizarre oriented lecture. Whether Eugene Burger appeals to you personally or not, whether his style of tricks fits your style or not, this lecture is invaluable to anyone serious about performing powerful magic. The tricks he demonstrates are simple and direct, and each one is a stepping-off point for a lesson about performing more powerful magic. The price of the video is ridiculously cheap for the value of Burger's lessons. A masterful demonstration of magical presentation combined with hard hitting effects, with many of the tricks presented using methods within the reach of newer/novice magicians. This was my first experience with the work of Eugene Burger,...and I now understand why he is considered a living legend by many in the magic community. Thanks for a truly INSPIRING lecture Eugene! 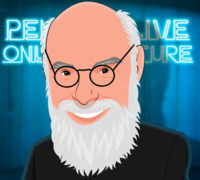 This lecture is one of the best, if not the best Penguin live lecture I have seen. Of course, if you are looking for fancy totaly new magic tricks, you're not at the right Lecture. I always enjoyed Eugene Burger approach to magic because he focuses on presentation and on this magic 'ingredient' that is so precious when we do magic 'tricks'. This lecture is a pleasure to see and to listen. Thanks Mr. Eugene. Can I give 10 stars !! Wow, that was an outstanding lecture. Great and commercial magic and great advice by one of the most fabulous magicians out there. It was a real pleasure to watch Eugene's lecture.